State Bank of India announced the SBI Clerk Recruitment 2019 Notification for the recruitment of 8653 Clerk cadre Junior Associate Posts. So, the SBI inviting Online Mode of Applications from the aspirants to apply @ sbi.co.in within the time period 12th April to 03rd May 2019. But, before that Check, the Details mentioned on the SBI Junior Associate Notification. IF the Contenders did any mistake in sending the SBI JA Online Application, it will be rejected. The age Limits For the SBI JA Recruitment 2019 should be as on date 01.04.2019. 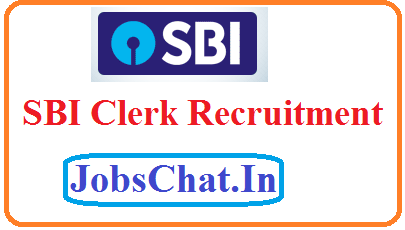 State Bank of India Clerk Job Vacancy 2019 is released on this page. The authorities had shared all the notification and SBI Junior Associate Customer Support And Sales Application links on the main page. We have shared all the links on this page. Here it is the right page to get the notifications and updates and many more. So keep visiting our page Jobschat.in for more updates. The interested candidates who are looking for SBI Junior Associate Recruitment Notification 2019 can find the relevant information here. To prepare in advance candidates will require the important Previous Papers, etc. The SBI Clerk Prelims And Mains Exam will be organized in June & July 2019. So, clear those and get Selected to the sbi.co.in Clerk Recruitment for the 8653 Vacancies.